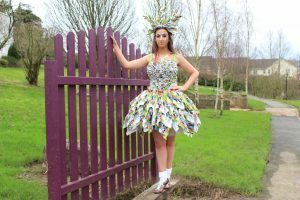 Three students in Transition year have completed their entry for Junk Kouture 2019. 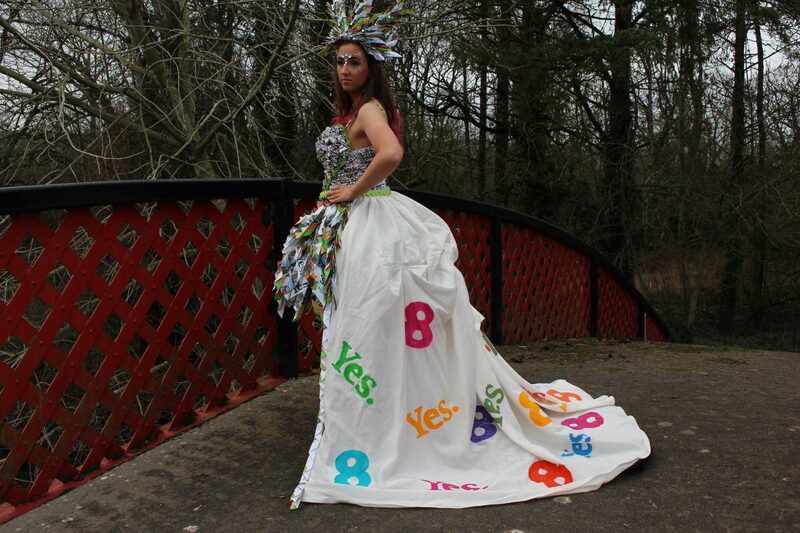 Their dress which is made from Together For Yes leaflets, potato bags, paper and old material has been in progress since September 2018. The students have spent a lot of time working hard on their creation and are excited about representing their school. 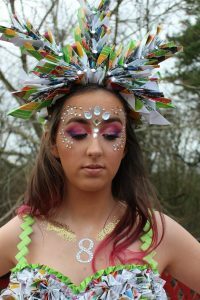 Their creation is called ‘Miss Choice’ which represents the choice that the women of Ireland today have and also how much Ireland has changed in the last 100 years. We are wishing our students the best of luck in the competition.